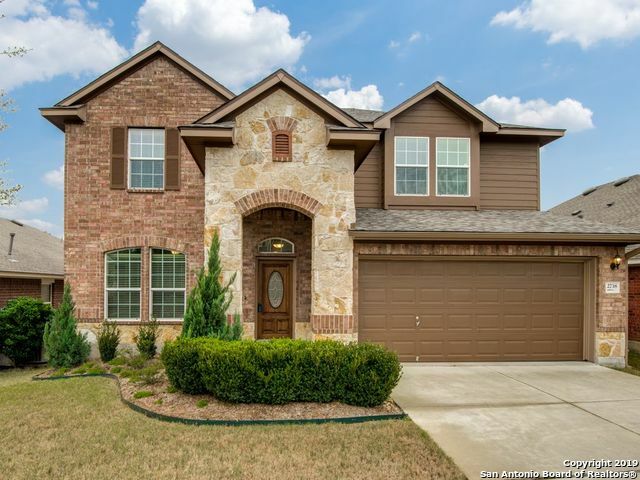 All TRINITY OAKS homes currently listed for sale in San Antonio as of 04/26/2019 are shown below. You can change the search criteria at any time by pressing the 'Change Search' button below. 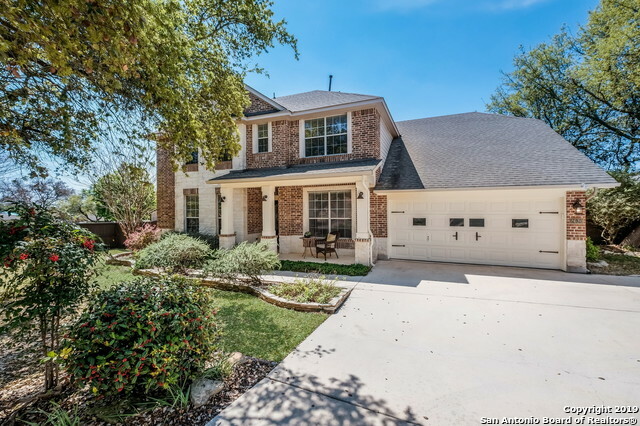 "Stunning Home Nestled on Large & Private Cul-De-Sac boasts gorgeous mature trees, Master Suite & Secondary Bedroom w/ Bath Down, & 2.5 car garage in Gated Trinity Oaks Estates. Gourmet Island kitchen offers Granite counters, 42 Cabinets, Lg. Pantry,Breakfast Bar & Walk-in Pantry. Welcoming Front Porch & Spacious Covered Patio + Pro Landscaping & TUFF Shed.Tons of Walk-in Attic Storage.HUGE Gameroom & 3 Bedrooms + 2 baths(Jack & Jill.) Fridges/Washer/Dryer Included! Comal ISD,Comm. 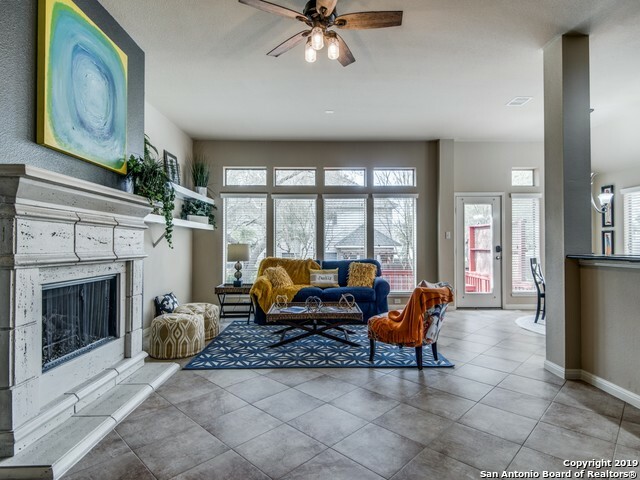 Pool & Park.No"
"Take a look @ this beautiful 1-story in Trinity Oaks; on greenbelt! Open floor plan welcomes you in the front door. Large island kitchen/brkfst rm opens to family rm w/fireplace & large windows overlooking the manicured backyard. The gourmet kitchen w/high-end gas cooking & venthood, w/dble oven boasts lots of counter space & cabinets, breakfast bar. Oversized mstr bdrm w/expansive windows. Master bath features separate tub/shower & dble vanity. 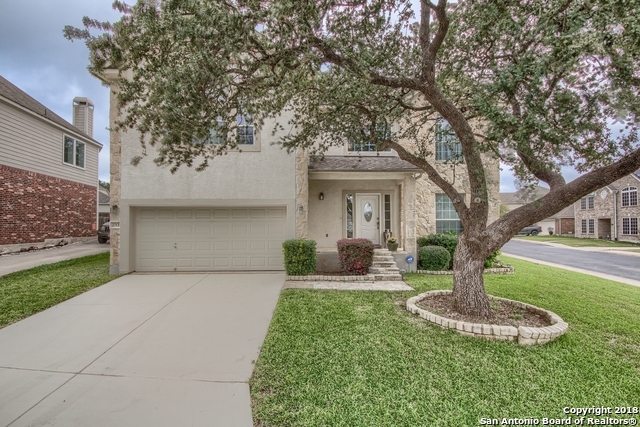 Enjoy the low energy bills; compliments of the so"
"Beautiful two story 5 Bedr./3.5 bath home located on a big lot at the corner of Trinity Ridge and Spiral Canyon in the prestigious trinity Oaks Subdivision. Gated Entry! The large family room with high ceilings and fireplace are open to kitchen and breakfast area. Master bedroom downstairs. Spacious, level backyard and mature tress. Granite countertop, Water softener owned, sprinkler system.. NO CITY TAX! Acclaimed Comal ISD. COMMUNITY POOL & PARK"
"NEW LOOK, NEW PRICE! Exterior features include 4 sides brick and large custom deck for backyard enjoyment. 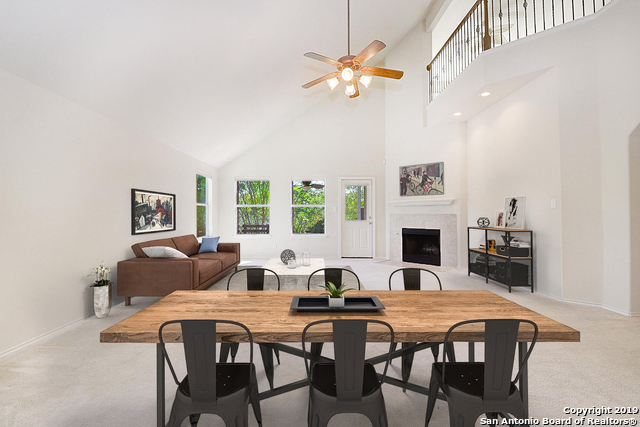 Very spacious floorplan boasting soaring ceiling, crown molding, clerestory windows in the family room and owner's retreat! Lovely kitchen offers walk-in pantry, granite countertops and abundant counter space and storage. 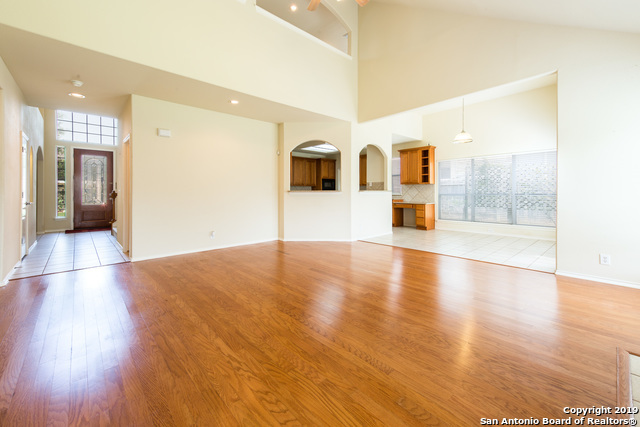 Formal dining is enhanced with beautiful wood floors. Owners retreat has ceiling fan, great view of backyard and roomy walk-in closet. Gated community with impressive rec "
"DAVID WEEKLEY HOME WITHIN TRINITY OAKS TREE LINED,GATED ENTRY. THIS HOME FITS ALL OF YOUR BUYERS NEEDS W/MASTER SUITE DOWN, LARGE WALK-IN CLOSET, GORGEOUS HAND SCRAPED WOOD IN ENTRY, STUDY, FORMAL DINNING ROOM AND COZY FAMILY ROOM WITH A FLOOR TO CEILING STONE FIREPLACE. GAS COOKING IN OPEN KITCHEN WITH 18 X 18 CERAMIC TITLE. UPSTAIRS BONUS ROOM LEADS TO 3 BEDROOMS AND 2 FULL BATHS. STORAGE GALOR WILL KEEP YOUR HOME WELL ORGANIZED AND TIDY. ENJOY YOUR EVENINGS AND BBQ UNDER THE SPACIOUS COVERE"
"Enjoy NO CITY TAXES, community park and pool plus controlled access. A Corner lot, over sized backyard with custom deck, fruit trees - perfect evening relax spot. Large island kitchen, all bedrooms downstairs. Large second living or game room upstairs. Spacious original owner home, lovingly cared for. Move in ready!!" "MUST SEE this beautiful 4BR/3.5 BA family home in gated community. Main level offers: high ceiling entryway, formal dining, formal living with tray ceilings, chef kitchen with granite counters opens up to breakfast area w/ lots of natural lights into the family room w/ cozy fireplace, spacious owner suite w/ dual vanity &walk-in closet. Second level: guest suite with private bath, gameroom, BR with walk in closets. Lots of fruit trees out back. 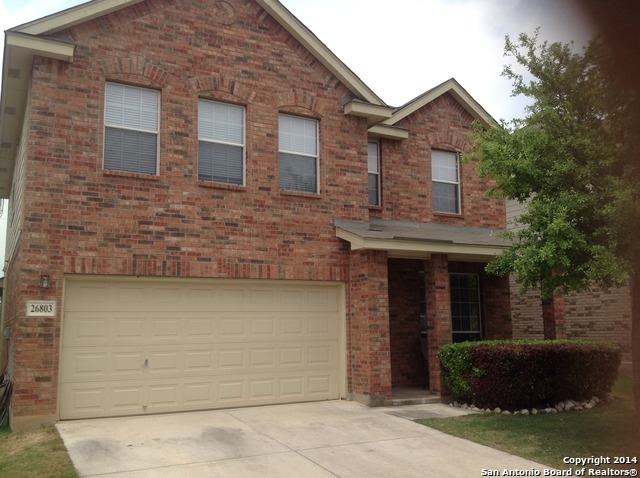 Close to HWY 281 and shopping. 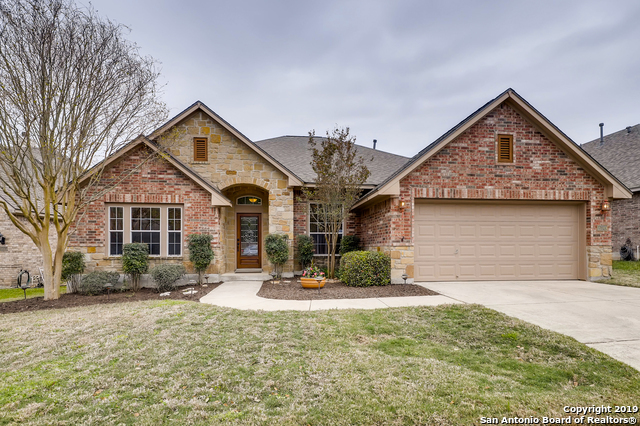 Comal ISD"
"***Nice 5 bedroom house on green belt with Black appliances.Master down , 4 large bedrooms all with walking closet and large game room up , Sep dining room with fireplace in family room , Master bedroom with sep shower and tub and double vanities . Brand new Capet and laminate floor , new paint every where , new faucets , new kitchen sink , Almost everything is new in this house"